Sarah Williams (Oboe). David Caswell ( Guitar). Ricardo Curbelo (Harp / Cuatro / Vocals). Adrian Azuelo (Guitar). Ricardo Curbelo (Harp / Cuatro / Vocals). £12 / Concs £10. / (Door £14). Under 16s £6. Fiona Harrison (Classical Guitar). Ricardo Curbelo (Harp / Cuatro / Vocals). 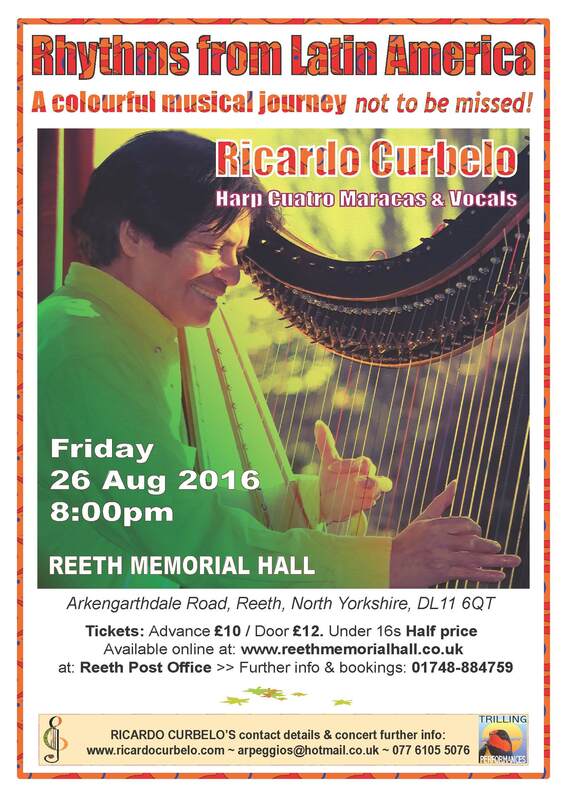 Ricardo is delighted to perform this recital for Theatro Technis celebration of its 60 anniversary! Tickets: Advance £10 / Door £12. Under 18s Half price. 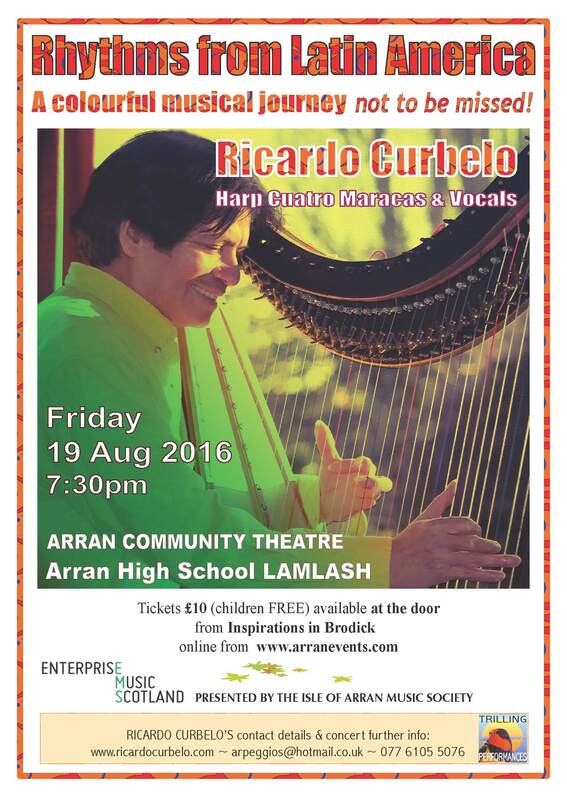 A colourful musical journey...not to be missed! A colourful music journey...not to be missed! 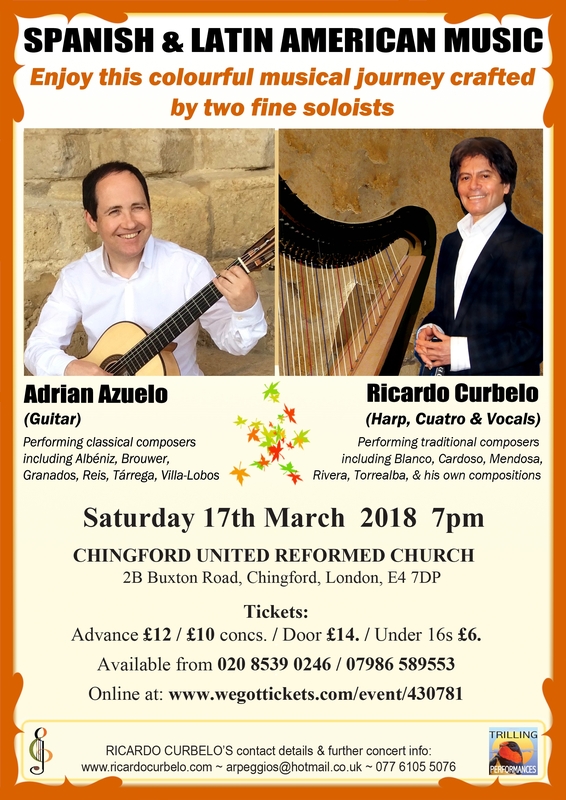 Ricardo is very pleased to perform this recital for the Anglo-Colombian Society in London, looking forward to a delightful ending to the Spring Concerts 2014 he has been giving in the UK. 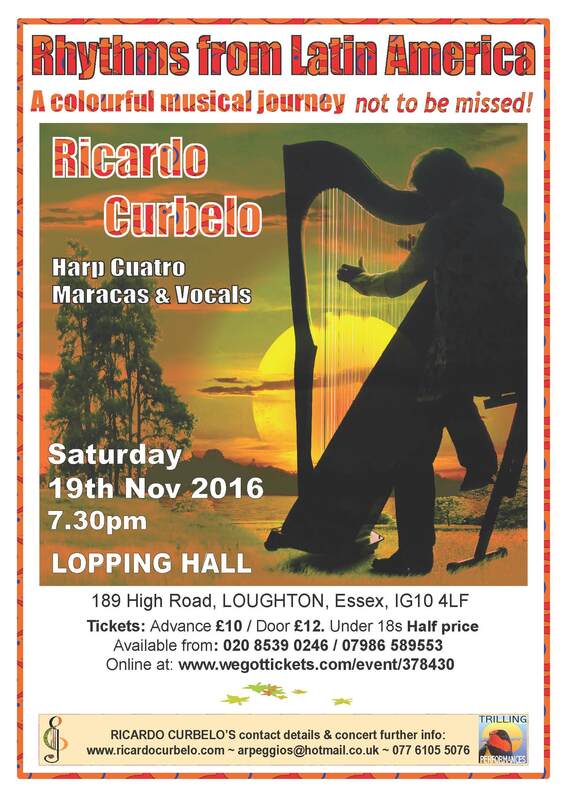 Ricardo is delighted to perform this concert of Latin American music for the Cyprus Week. 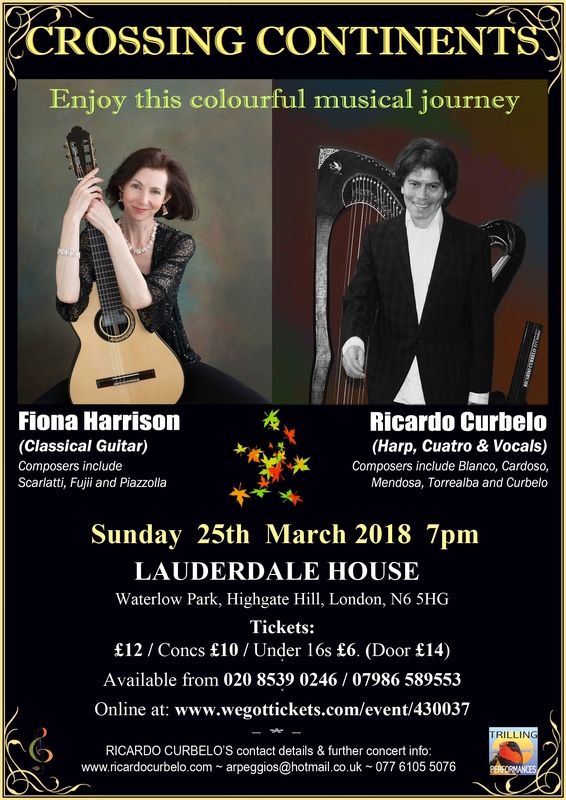 Ricardo Curbelo performing a wide variety of music from Latin America, combining traditional pieces with a whole new wave of world poetical harp music from his own compositions. 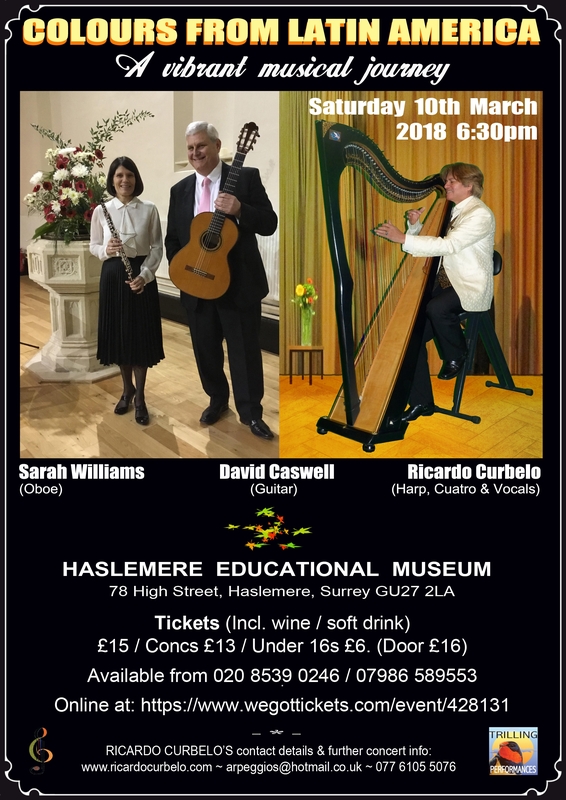 Programme includes a wide variety from his Latin American traditional repertoire and a whole new wave of world poetical harp music from his own compositions. Ricardo presents a great combination of traditional Latin American pieces together with many of his own compositions. City of Lancaster Lancashire England. 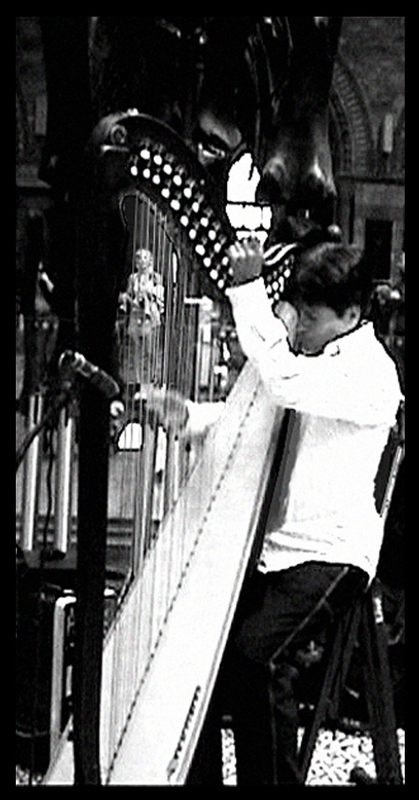 Harpist Ricardo Garcia-Curbelo at the Natural History Museum in London. Enjoy this unique colourful journey of Latin American harp music at the Natural History Museum. and traditional music. Influences: Joropo, Flamenco, Jazz, Classical and Poetry. 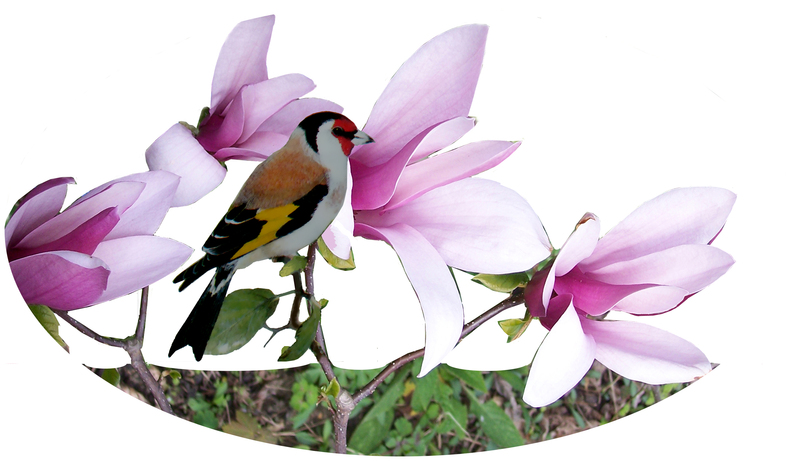 A verbal and musical recital of poetry, highlighting the poetry of 'El Cóndor'. Programme includes his published works and poems from the poets Pablo Neruda and Federico García Lorca.